CJ is a visual artist from Calgary, Alberta, Canada. Calgary, if you dont know of it, is situated in the heart of the prairies on the fork of the rivers Bow and Elbow, nestled in the shadow of the Rocky Mountains. It is known for its cowboys, ranches, and its oil, and has played a major role in the development of the Canadian petroleum industy. 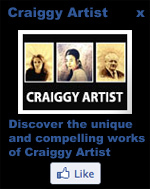 Craig Robertson aka CJ was born in Calgary, Alberta, Canada in 1961. At the age of six he moved to Australia and lived in Perth, Sydney, Melbourne and Adelaide. He returned to Calgary at the age of sixteen. He has traveled extensively throughout the world and considers this his greatest education. 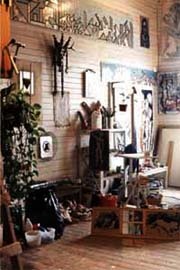 He attended the Alberta College of Art and Design and graduated in 1985. Since then he has been living the life of an artist and has dabbled in Jewelry design, stage/prop design, graphic design, architectural and interior design, web design, music and poetry. His interests are varied and eclectic. 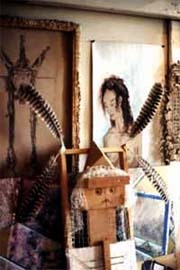 His work is of an autobiographical nature. His work is his his biography. I work in both traditional and new mediums and combinations of both. My digital works are combinations of drawings, paintings, digital photography and photoshop effects. You might say....a collage of mediums. My creative philosophy is basically one of exploration. To explore the world I experience around me, coupled with thought, in the form of play. Its simply about discovery. Art creates itself, I merely give it a push.